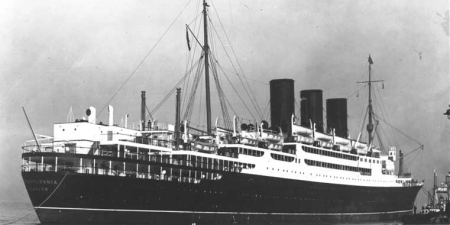 She made her maiden voyage on September 12, 1925 from Glasgow to New York. In September 1939 she was used as an armed merchant cruiser. On August 10/1940 the Transylvania was torpedoed by the German submarine U-56 35 N miles north of Tory Island. She was taken in tow but sank before reaching the coast With the loss of 48 lives.